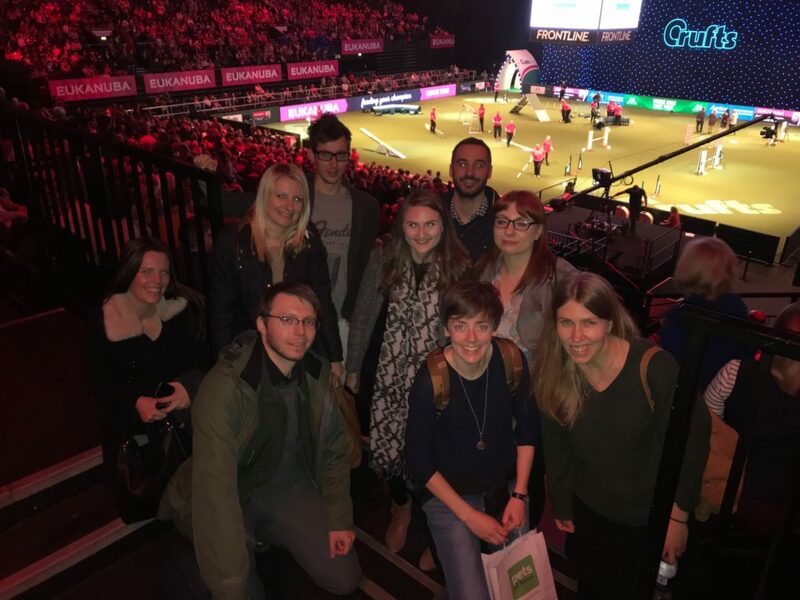 Barking Mad for Crufts 2018! Everyone is going barking mad about Crufts 2018! We were lucky enough to attend on Thursday which is the day dedicated to Working and Pastoral breeds of dog. What is a working dog? A working dog is the type of canine who can be trained to perform tasks and tricks to assist in work or merely for entertainment such as the agility demonstrations you see on TV at Crufts. Working breeds can be used in the police, as therapy dogs, guide dogs etc. The breeds include Boxers, St.Bernards, Mastiffs, Dobermann, Komondor, German Shepherds and many more. What is a Pastoral breed? A pastoral breed is typically referred to as a herding dog. These dogs are bred to work with livestock as guardians and to herd the animals around. The Kennel Club’s list of Pastoral breeds include, Collies, Welsh Corgies, Swedish Lapphund, Sheepdogs etc. Upon arriving at the NEC in Birmingham, UK we were slightly overwhelmed with the size of this event, there’s so much to see and do, we would definitely recommend purchasing a show guide and looking online before you attend to plan out your day. We took our time looking around all the booths and learning about some great new products on the market, we also spent plenty of time over in the ‘Discover Dogs’ area where you can see hundreds of different dogs and breeds from countries across the world, we got slightly sidetracked in this area as we were able to cuddle the most adorable puppy. 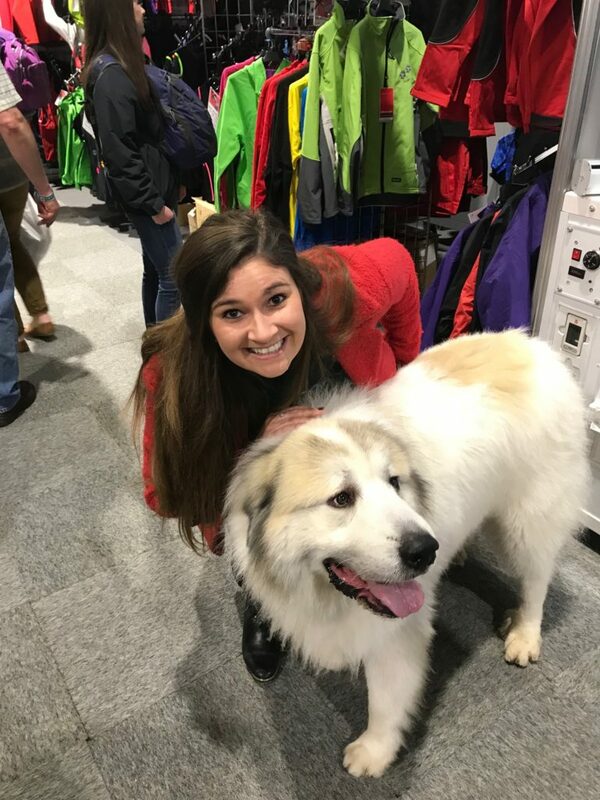 We spoke with some fantastic charities throughout the day including rescue dogs, shelters and therapy dogs who have been assisting people with their disabilities, it was really rewarding to see how dogs can have such a positive influence on people’s lives. It was nice to be at an event dedicated to celebrating how great dogs are! Towards the end of the day we made our way over to the Main Arena which is where you see the majority of the shows and performances on TV. The arena was huge but these dogs didn’t seem phased at all. Watching the dogs in the Freestyle Heelwork to Music category was incredible, the stories and choreography these owners and canines were able to perform was spectacular with Cinderella and her owner sweeping first prize with their Disney inspired tale. We were also able to catch the Kennel Club British Open Agility Final which was equally as impressive. This is the category where the dogs have to race around the arena in an assault course including hurdles, hoops, tunnels and the famous A frame, all of the trainers are kitted out in their sportsgear and trainers ready to sprint as they have to lead their pups around the course at lightning speed. 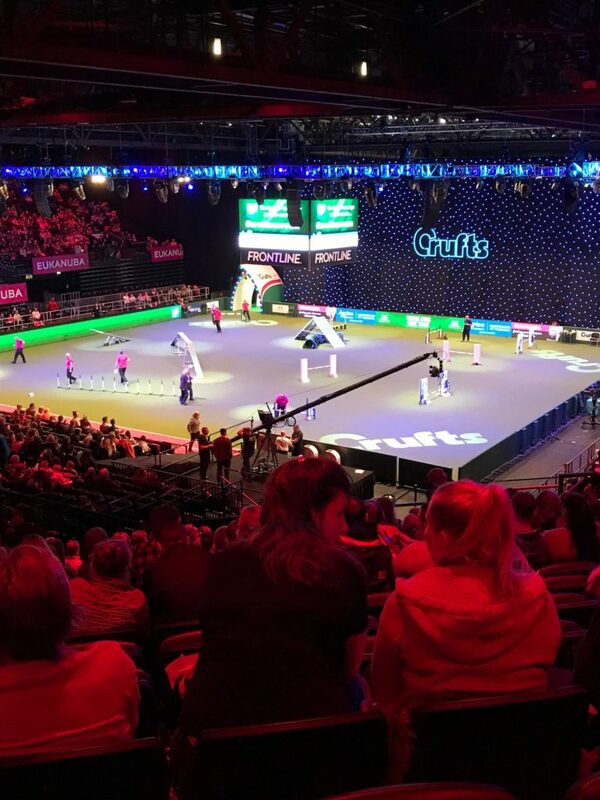 If you haven’t caught any of the Crufts coverage this year we would recommend having a look at clips on Youtube. To start training your own puppy or dog we would recommend beginning with crate training as a first step before you try any of the hoops or hurdles! To check Omlet’s range of fabulous new Fido Studio dog crates, click here.